On the photo is a mix of the medical group of rotation L7 and L8. 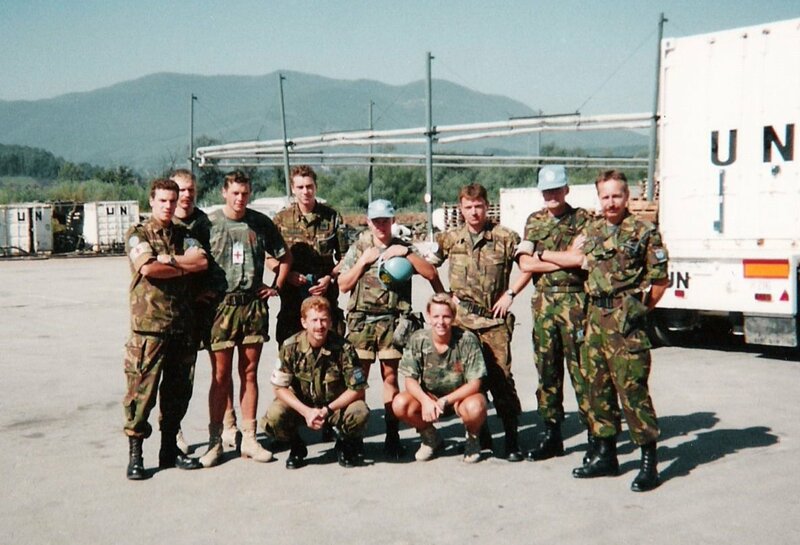 Rotation L7 left Bosnia on that day, they did it in style however. A giant russian helicopter took them to Split from which they flew to the Netherlands. I am the second from the left on the photo.